When she accepted the Speaker’s gavel to lead the chamber for the second time in her career, Nancy Pelosi (D-Calif.), the country’s top Democratic leader, detailed an extensive agenda for the 116th Congress that includes infrastructure. “We will pursue our mission … to increase paychecks by rebuilding America with green and modern infrastructure from sea to shining sea,” Pelosi said, addressing the nation from the floor of the House on Jan. 3. Since House Democrats’ victories in the November midterm elections, a bipartisan compromise on infrastructure has been portrayed as one of the rare policy points with a realistic chance of advancing during President Donald Trump’s first exposure to a divided government. We will pursue our mission … to increase paychecks by rebuilding America with green and modern infrastructure from sea to shining sea. But the 116th Congress debuted amid a partial government shutdown affecting every agency under the Department of Transportation’s purview and agencies that oversee environmental regulations, financial markets and social services, among others. 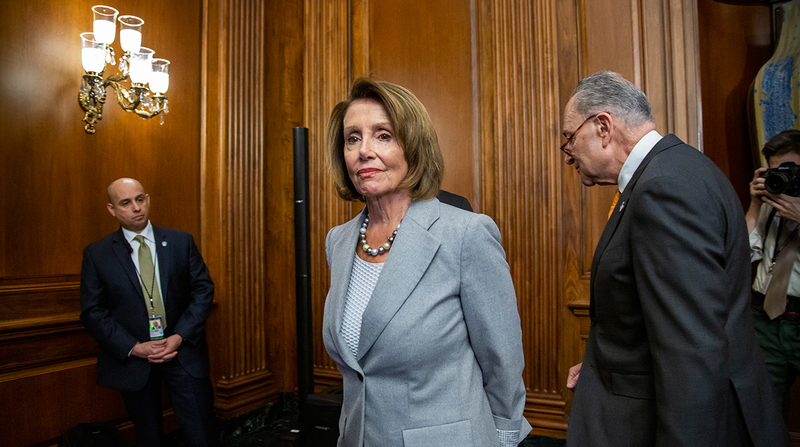 The new House Democratic leadership has yet to unveil its infrastructure plan. As the newly minted chairman of the transportation panel, Rep. Peter DeFazio, a Democrat from Oregon, said he intends to have an infrastructure policy measure ready by the summer. The proposal, DeFazio told reporters after the midterm elections, is likely to include a national pilot for a vehicle-miles-traveled fee, greater care of public transit projects to improve commutes, funding for freight corridors to reduce congestion and resiliency provisions for building projects capable of withstanding severe weather assaults. This legislative package, he emphasized, would aim to ensure sustainable funding for large-scale construction and maintenance projects. If an increase in fuel taxes to boost the federal highway account is included in the plan, colleagues on the Ways and Means panel would need to approve it. DeFazio also said he would reject funding proposals anchored on private sector backing, the approach Trump used when he pitched his 10-year, $1.5 trillion infrastructure plan to Congress in February. The Republican leadership in the Senate, meanwhile, has signaled a willingness to collaborate with Pelosi, DeFazio and their Democratic colleagues on a long-term infrastructure funding proposal. The parties have yet to compromise on Trump’s calls for taxpayers to back a wall at the border with Mexico, which prompted the partial shutdown. In the meantime, Senate Majority Leader Mitch McConnell (R-Ky.) expressed optimism for passing bills in the new divided Congress. While Senate Democrats in the last Congress unveiled a $1 trillion infrastructure proposal, their Republican counterparts were silent on Trump’s infrastructure plan and did not propose a plan of their own. For an infrastructure policy measure to advance over the next two years, presidential leadership will be required, congressional leaders said. Trump campaigned on the ability to implement a plan designed to rebuild roads, bridges and airports he said resembled infrastructure in Third World countries. We know that the Senate, with this Republican majority, is fertile soil for big bipartisan accomplishments. Meanwhile, freight transportation observers and stakeholders chronicle the growing congestion along freight and commuter corridors as well as the number of safe but structurally deficient bridges and outdated structures. The U.S. Chamber of Commerce, for example, continues to call on policymakers to increase federal fuel taxes to guarantee sustainable funding for transportation projects. Dwindling revenue from the 24.4-cents-per-gallon diesel tax and 18.4-cents-per-gallon gas tax is insufficient to sustain the Highway Trust Fund long term. The tax rate has remained unchanged since the Clinton administration.